Gen. Yakubu Gowon, former Nigerian Head of State and a founding father of ECOWAS, has advocated the creation of a Government of West African States for the commongood of the 15-nation Community’s estimated 300 million people as a building block for the United States of Africa. 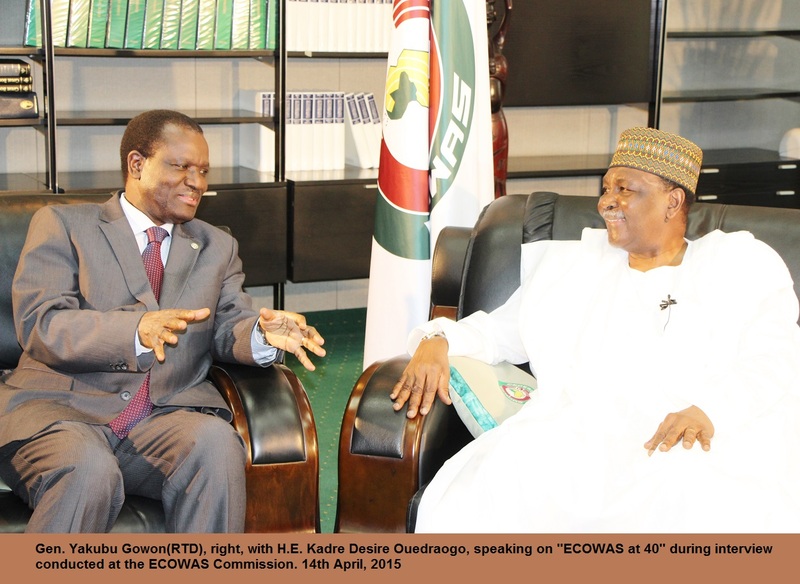 “The objective when we founded ECOWAS (in May 1975) was for an organization that will work for the benefit of all people in the Community and pending when the dream of a United States of Africa is realized, West Africa can show the way,” Gen. Gowon said during an interview after a meeting on Tuesday 14 April 2015 with the President of the ECOWAS Commission H.E Kadré Désiré Ouédraogo at the Commission’s Abuja headquarters located on a Crescent named after the Nigerian Statesman. Refusing to take all the credits for the formation of ECOWAS in 1975 and for chairing the Group of Eminent Personalities that revised the organization’s Treaty in 1993, Gen. Gowon, who is 80 this year, paid tribute to all his peers, especially the late Togolese President Gnassingbe Eyadema, government ministers, diplomats and senior civil servants of Member States for their roles and contributions to the birthing of ECOWAS. He commended President Ouédraogo, who as a former ECOWAS Deputy Executive Secretary worked with the Eminent Personalities on the revision of the ECOWAS Treaty and urged him to ensure that the organization evolved to meet the aspirations of the founding fathers. On the motivation behind the formation of ECOWAS and the signing of the 28 May 1975 Lagos Treaty, Gen. Gowon as then Nigerian Head of State, recalled the “diplomatic shuttles” undertaken by officials of his Government and other countries in the region after Nigeria’s civil war, and the need to streamline the various bilateral agreements among the countries into a single document that spoke to the needs and aspirations of the Community. “Of course, there were niggling challenges (including colonial history, cultural and language differences), but thanks to the determination and political will of the political leaders at that time, virtually all the member countries were represented and signed the Lagos Treaty,” he affirmed, noting that the primary concern then was for economic and social integration. 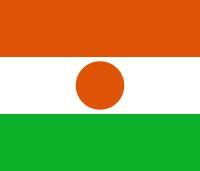 The 1993 Revised ECOWAS Treaty brought on board a number of innovations including the creation of the Community Court of Justice, the ECOWAS Parliament, the mechanism for addressing political and security issues and particularly, the Community Levy, which replaced the unreliable, assessed financial contribution method. He recalled that as a young military Head of State, his government in 1966 introduced the “Know Your Neighbour Policy,” which saw him visiting several Nigerian neigbours, with the purpose of cultivating good neighbourliness and therefore, keeping the country from harm. In the same vein, Gen. Gowon recommended that “All ECOWAS countries must come together” to deal with any potential or real threat to the Community, including corruption, while at the same time ensuring respect for everyone no matter how high or low. While acknowledging that ECOWAS objectives might not have been fully met, he however, expressed delight at the achievements chalked by the organization in its four decades of existence, particularly the Common Passport and the free movement of persons, goods and services under the organization’s flagship visa-free protocol. He frowned at the many trans-border check points in the region, noting that while certain checks are necessary for security purposes, those that encourage extortion of citizens must be scrapped for the Community integration to be meaningful. Gen. Gowon also expressed optimism that the results of the just-ended Nigeria’s general elections, which have been judged generally peaceful and orderly, would enable the country to resume its leadership role in the region and in Africa. He also promised to work with others for the realization of the dream of a Government of West African States.The interview is part of the initiative by the Commission to gather materials for the production of Television documentaries to mark the ECOWAS 40th Anniversary this year. Gen. Yakubu Gowon, former Nigerian Head of State and a founding father of ECOWAS, has advocated the creation of a Government of West African States for the common good of the 15-nation Community’s estimated 300 million people as a building block for the United States of Africa.